Strategic Advisory Group – Центр "Нова Європа"
Carl Bildt was Sweden’s Foreign Minister from 2006 to 2014, and Prime Minister from 1991 to 1994, when he negotiated Sweden’s accession to the EU. Carl Bildt has had wide experience in foreign and security affairs, serving on or leading a number of official governmental commissions. He served as EU Special Envoy to the former Yugoslavia from June 1995, co-chairman of the Dayton Peace Conference in November 1995 and High Representative for Bosnia and Herzegovina from December 1995 to June 1997 immediately after the Bosnian War. From 1999 to 2001, he served as the United Nations Secretary-General’s Special Envoy for the Balkans. 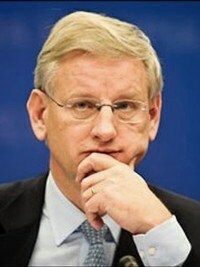 Bildt has authored a number of published works, in addition to producing his own newsletter in Swedish on international affairs. Carl Bildt is the holder of various senior honours and decorations from France, Germany, the United Kingdom, Estonia and Latvia. He also has an honorary degree from the University of St. Andrews in Scotland, where he is a Fellow at its Institute for the Study of Terrorism and Political Violence. Yevhen Marchuk is Ukrainian statesman and army general. In independent Ukraine, Yevhen Marchuk had held a number of high-level positions from Minister of Defense, Head of the Security Service, Secretary of the Security and Defense Council to Head of the Government in 1995-1996. Also, he was twice elected to the Parliament of Ukraine, in 1995 and 1998. Yevhen Marchuk was awarded the 5th class Order of Prince Yaroslav the Wise for outstanding accomplishments in strengthening Ukraine’s national security, and successful state and political work. 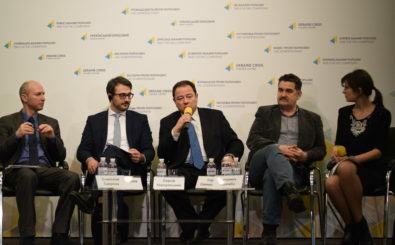 In December 2014, Yevhen Marchuk has become the coordinator of Ukraine’s security cooperation with the NATO and the EU. In November 2018, President Petro Poroshenko has appointed him as the representative of Ukraine in the Tripartite Contact Group for the peaceful settlement of the situation in Donetsk and Luhansk regions. 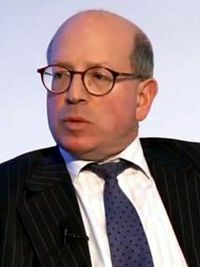 James Sherr is a Senior Research Fellow of the Estonian Foreign Policy Institute and former Head of the Russia and Eurasia programme at Chatham House (the Royal Institute of International Affairs). From 1993 to 2012, he was a member of the Social Studies Faculty of Oxford; from 1995 to 2008, a fellow of the Conflict Studies Research Centre of the UK Ministry of Defence. He has published extensively on internal political processes in Ukraine, foreign and security policy of the Russian Federation, energy relationship between Russia, Ukraine and the EU and security issues in post-Communist space. In January 2019, James Sherr will take up residence as Senior Fellow of the Estonian Foreign Policy Institute at the International Centre for Defence and Security in Tallinn. He is a frequent contributor to The World Today, Mirror of the Week, The Times, Kyiv Post, The Independent, the Financial Times, and many other periodicals. His last book “Hard Diplomacy and Soft Coercion: Russia’s Influence Abroad” should be in a must-read list for those who wants to understand what shapes and motivates Russian foreign policy. 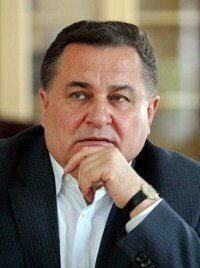 Roman Shpek is a Ukrainian statesman and diplomat. In 2000-2008, he served as Ukraine’s Ambassador to the European Union. Holding the post he played a key role in developing relations with European institutions and promoting trade and political links. Before that Roman Shpek held high-level state posts. In 1993 he was appointed as a Minister of Economy of Ukraine and in 1995 became a Deputy Prime Minister for Economic Affairs of Ukraine. 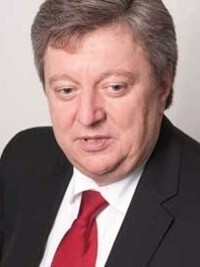 From 1996 to 2000 he served as a Chairman of the National Agency for Reconstruction and Development, and then – National Agency for Development and European Integration, coordinating ministerial activities in securing and disbursing bilateral and multilateral loans to Ukraine and improving the investment climate. Currently, he is a senior advisor to PJSC “Alfa-Bank” and a member of the Board of the National Bank of Ukraine. Gerald Knaus is a founding Chairman and lead analyst of the European Stability Initiative since 1999. After having studied in Oxford, Brussels and Bologna, he taught economics at the State University of Chernivtsi in Ukraine and spent five years working for NGOs and international organizations in Bulgaria and Bosnia and Herzegovina. 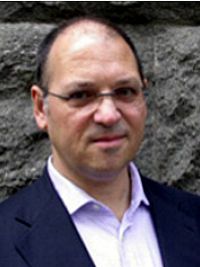 Gerald Knaus has published many articles and reports that have triggered wide public debates. In 2011, he co-authored, alongside Rory Stewart, the book “Can Intervention Work?” He has also co-authored more than 60 ESI reports as well as scripts for 12 TV documentaries on South East Europe. 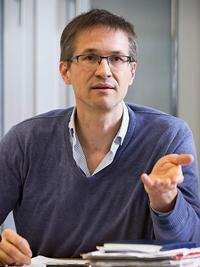 He is a founding member of the European Council on Foreign Relations and Associate Fellow at the Carr Center for Human Rights Policy at Harvard University’s Kennedy School. Adrian Karatnycky, Senior Fellow with the Atlantic Council’s Program on Transatlantic Relations. He is a founder and co-director of the Ukrainian-Jewish Encounter. From 1993 to 2004, he was president and executive director of Freedom House, during which time he developed programs of assistance to democratic and human rights movements in Belarus, Serbia, Russia, and Ukraine. For twelve years he directed the benchmark survey Freedom in the World and was co-editor of the annual Nations in Transit study of reform in the post- Communist world. He is a frequent contributor to Foreign Affairs, Newsweek, the Washington Post, the Wall Street Journal, the Financial Times, the International Herald Tribune, and many other periodicals. He is coauthor of three books and coeditor of eight books on Soviet and post-Soviet themes.